Is Google Money Getting More Girls into Tech? Is Google’s “Made with Code” program getting more girls into tech? By now, it’s no secret that tech has a gender problem. Recently, the same press that once lauded Silicon Valley’s meritocracy has taken a more sordid view of the same landscape. Or maybe it’s just a more honest one which admits that although hiring more women yields higher profits, minimal progress has been made. Earlier this year, Google announced that more than four-fifths of its American workforce is male. It also pledged to donate up to $50 million to nonprofits that aim to close this gender divide. How is that money being put to use? Three months later, several U.S. national nonprofits have received grants from Google’s Made with Code initiative. In the U.S. capitol, Girls Inc. of the Washington, DC Metropolitan Area is one of them. 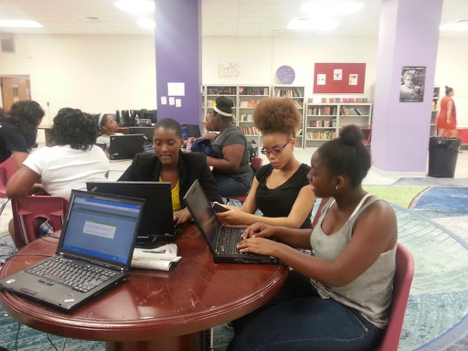 They received $2,500 from their national affiliate to host 100 local girls at coding parties across four DC wards by December 31, 2014. Their aim is to excite girls about what they can create with code, at an age when they are most likely to start abandoning STEM subjects in school. This involves teaching them what code can do – or, more specifically, what code can build that they might not have thought of. 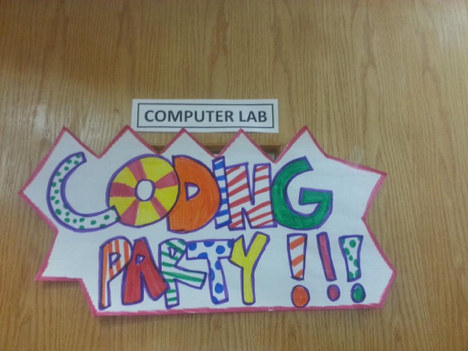 After a series of icebreakers and team building activities, girls at these parties make their own projects that range from JPEGs and avatars to music beats and jewelry. But what happens once the parties end? Are they enough to spearhead further action? Denese Lombardi, Executive Director of Girls Inc. DC, is well aware that inspiring girls to pursue STEM careers involves more than one-off events. It’s why she offers their girls options to learn more about these subjects during the nonprofit’s after-school programs. These programs, as well as the Made with Code parties, are an extension of a six-week summer camp that is hosted in partnership with Women’s Society of Cyberjutsu and Lockheed Martin. And the nonprofit also offers SHE-E-O Career Days, where their girls “speed network” with women in STEM careers. Thus far, more than 100 girls have networked with women at companies like Cisco, NASA, Exxon, and more. Girls Inc. DC says they are thrilled to be working with Google, and hope Made with Code can be the catalyst for more direct mentorship. In the meantime, Girls Inc. DC is focused on its Crowdrise campaign to buy an onsite 3D printer. Lombardi says the campaign will run at least through the end of 2014. She hopes that an on-site printer will allow their girls to see the instant results of their work, and continue coding/creating. After all, there’s no national shortage of princesses – but there is a national shortage of engineers.